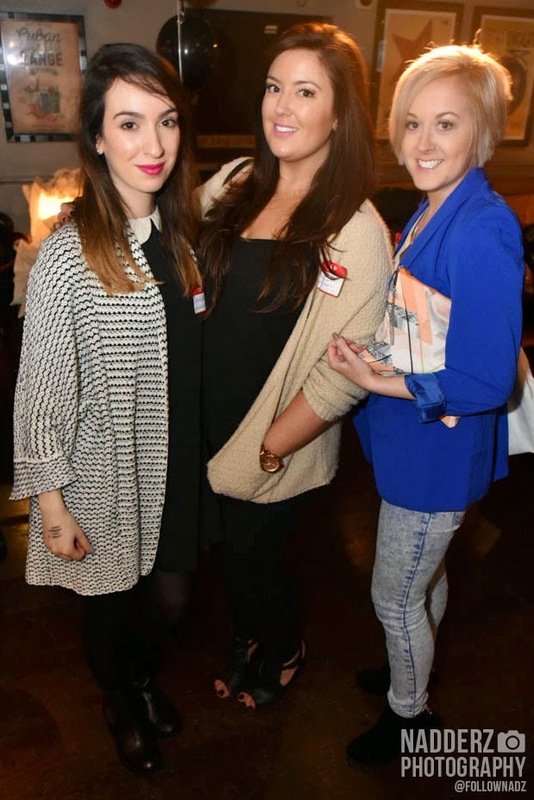 On Saturday 7th March I was lucky enough to attend the Cambridge Blogger meet up! I went with my blogging bestie Daniella which was a godsend as I tend to be a little nervous going to events on my own. The event was held at vodka revolution in Cambridge. As soon as we arrived I could see that a huge amount of effort had gone into the planning of the event. We were greeted with a hug from the events’ organiser Philippa and a choice of mocktails which were delicious may I add! We had a good hour or so to network and chat to fellow bloggers which was great as most events in London leave me feeling completely overwhelmed- this event felt a lot more friendly and intimate! Dotted around the room were well thought out stalls with various goodies placed on them. First up there was the l'occtaine stand which had a basket full of goodies to take and try. Lush were also there…again with pots, upon pots of scrummy face creams to try. One of my favourite goodies were Chocolat Chocolat who had put together some sample bags of the most unique chocolate I have seen in a while! Unfortunately the chocolate did not make it to the photography stage…whoops!! One of the most interesting stalls for me was a local brand called Sniffy Wiffy. Their concept- body lotions that are designed to make checking for lumps and bumps easier. Their ethos is to sniff cancer out- and I loved this idea so please check them out! I loved how the gifts were well thought out and specific to the event and Cambridgeshire itself! Speeches were given by Philippa, local secrets and Cision all of which were interesting and informative! All in all I thoroughly enjoyed this event and if I’m honest I feel that some of the bigger events could learn a thing or two from this. Small, well thought out events are much more valuable than large ones with no consideration for the bloggers or the companies who wish to gift. Seeing some of the tweets and posts from the recent flop bloggerslove event disappointed me as this is not how events used to be back in 2008/09. They used to be like the Camb Meet Up…informative and personal…bring them back please!!! The professional photos can be seen here!